You can use int data type. You can use short int. Also one suggestion for admin, please remove clrscr, as they are not supported in most of the compiler. can you plzzz tell me where from this "m" is coming? u have declared integer "n,i" not m!!! 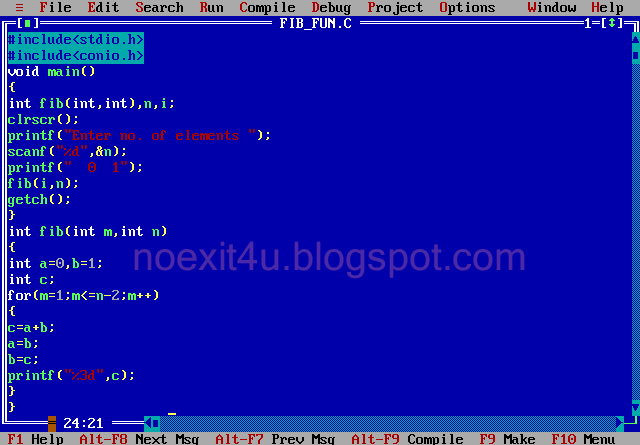 [Admin] Please see function prototype "int fib(int m,int n)". It has declaration of variable m (int m). Return type of fib() should be void.